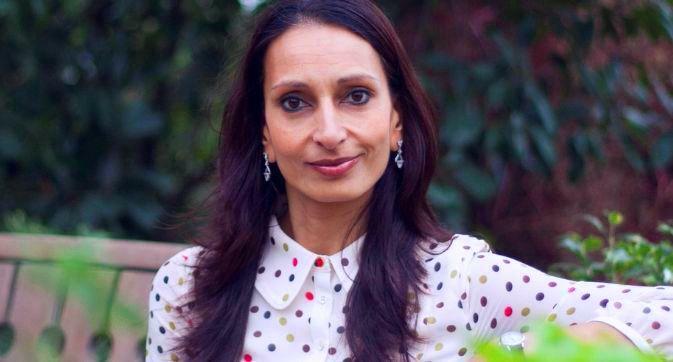 Rashmi Becker has over 20 years of professional experience working for central government, the EU institutions, and national learning disability and autism social care providers. Witnessing first-hand the challenges and opportunities concerning social care motivated Rashmi to complete her research this year at the Cambridge Intellectual and Developmental Disabilities Research Group. In 2015, I was awarded a PhD Studentship* to undertake research at the University of Cambridge. The question I was interested in is: why does government disability policy fails to recognise the significant role of support workers in the lives of people they support? The aspirations are for people with a learning disability to have choice and control in their lives and enjoy quality of life, but there is little understanding of the people that are critical to realising these ambitions. I wanted to understand how relevant government policy is in practice and what actually matters to people with a learning disability and the people that support them. Until there is genuine effort to engage support workers and people with a learning disability - and to understand the fundamental relationship between the two - government policy will remain irrelevant to the very people who are critical to enacting it. Following detailed analysis of existing academic literature and policy about social care and learning disability, I spent 6 months observing and speaking to people with a learning disability and staff in three residential care homes in the East of England. I examined their activities and interactions in their care settings, as well as in the community. I spoke to staff about their choice to work in care, and what motivates and challenges them. The clear outstanding finding from my research is that the lack of understanding of support work by policymakers - and what matters to people with a learning disability - has resulted in ideals not reflecting reality. Support workers in this research deeply identify themselves as caring people who want to make a difference. They see their place of work as a second home and the people they support as family. This level of personalisation and self-perception as selflessness enables support workers to rationalise the high levels of emotional stress and demand they face in their daily role. Many support workers have family or relatives with a disability and a number of support workers have different challenges such as with dyslexia or mental health needs. Residents with a learning disability describe their fellow residents and support workers as their friends. They love their homes and took pride showing me around. When I looked at how residents are supported to make choices and how independence is promoted, the picture was complex. For example, I observed a number of residents attending their local Sunday church service. Many residents have been attending the weekly service for years and this is something they look forward to. However, while congregants greeted each other and socialised over tea after the service, the residents sat separately and were not invited or included in the wider social interaction. In another example, I observed a resident at her work placement. She loves her work supporting a luncheon club and had a clear role. But when I spoke to a staff member, it was evident that the resident was seen as someone to "stop dribbling in people’s food" rather than as a valued team member. These and other examples highlight a critical difference between physically being present in society and genuine inclusion by that society. My research uncovered a number of other tensions around choice and inclusion such as: promoting independence without recognising the reality of people’s dependencies; promoting the wellbeing of people with a learning disability without acknowledging the relationship between the wellbeing of support workers; and focusing on engaging people with the world ‘out there’ such as getting a job, without recognising the importance of people’s peer group and the everyday activities and interactions that contribute to people’s quality of life. This blog is an overview of some of the findings from Rashmi's research. Rashmi will be delivering a talk on "Recognising Support Work: The Gap Between Policy and Practice" at LDT 2018. Click here to book your place. *Funded by the National Institute of Health Research (NIHR) Collaborations for Leadership in Applied Health Research and Care (CLAHRC) East of England programme, at Cambridgeshire and Peterborough NHS Foundation Trust. The views expressed are those of the author, and not necessarily of the NHS, NIHR, or Department of Health and Social Care.